Activated charcoal can be very effective at stopping bloating, absorbing excessive gas and removing toxins and other undesirable compounds in your gastrointestinal tract. It is, however, necessary to make sure you take this special kind of carbon in a particular way and at certain times for maximum benefit. Learn exactly how to take activated charcoal for gas correctly ahead, the recommended dosage and timing, using it for teeth whitening and a few charcoal side effects and precautions to be aware of. How Does Activated Charcoal Absorb Toxins? Importantly, activated charcoal is not metabolized or digested in any way in your body. The carbon travels all the way through your gastrointestinal tract without being absorbed and, at larger doses, will end up turning stools gray or black. This may be a little disconcerting for the first time, but it’s useful to get an idea of how long things take to go through your system. Any longer than a day and it may be well worth considering a colon cleanse. Activated carbon is electrostatically attractive to most gases, compounds, chemicals and microorganisms that are damaging to the human body. This is generally a good thing, as it can absorb and negate toxins, including terrible smelling hydrogen sulfide (rotten egg gas), as it travels through your stomach, small intestine and particularly large intestine. Conversely though, this same sponge-like action may also impact the effectiveness of medications or other supplements and possibly even some of the nutrients in food (though there is no scientific proof of this). For this reason and others, it is best to take charcoal capsules, tablets or powder in a certain way and within a specific timeframe. Activated charcoal, whether as a tablet, capsule or powder, should always be taken on an empty stomach with a large glass of water. The water will help move it from the stomach into the intestines where it can start doing its best work to reduce belly bloat and prevent flatulence. In fact, I personally drink a second glass of water around 10 minutes after taking these activated charcoal capsules I use to help move the it on from the stomach and into the intestinal tract. Taking it on an empty stomach makes good sense for two reasons. Firstly, to allow the charcoal to travel through your system without the impediment of a large meal. And secondly it helps to avoid it potentially absorbing up beneficial nutrients from the food. Activated charcoal capsules or high quality food-grade powder like this, taken with a good amount of water, should be used at least an hour and preferably 2 hours after a meal. The larger and more slow digesting the meal, the longer it would be worth waiting. So a large dinner would be at least 2 hours, whereas with fruit or soup you may be fine to take it closer to an hour after you finish. Activated carbon should also be taken at least an hour before a meal. You may have a fairly small window of optimal time to take charcoal for bloating and gas if you eat as often as I do. This timing advice is especially important for medications and supplements. Always allow for an hour before and 2 hours after taking supplements when using activated carbon. It’s recommended to consult your doctor before using charcoal if you are taking important medicines. Activated carbon is generally recommended for intermittent use rather than as a daily supplement. However, if bad gas is an ongoing problem for you it is one of the best natural remedies available. Taking charcoal for chronic flatulence, you could notice when you are most often having bad smelling gas and time taking your capsules or powder to minimize this. For instance, if bloating and intestinal gas in the morning is more of a problem, you can take activated charcoal at least an hour before dinner on an empty stomach with lots of water. This gets it where it needs to go to combat gassiness the next day. On the other hand, if farting at night is an ongoing issue, you could experiment with taking activated charcoal mid morning, between breakfast and lunch to stop gas in the evening. The most commonly recommended activated charcoal dose for frequent gas, bloating and toxin removal is 1000 mg (2 capsules of this bestseller on Amazon). Once again taken with a large glass of water, preferably 2 hours away from meals. This can be doubled for particularly excessive and smelly flatulence. Giving activated carbon to children regularly, or especially babies, isn’t generally advised so consult with your GP before using it in this way. For emergency treatment for ingesting poisons, adult dosage is much larger at 25 to 100 grams of fine activated charcoal powder like this, mixed with water and taken as soon as possible after ingestion. Recommended dosage to treat poisoning in children (1-12) is 25 to 50 grams of the powder mixed with water, while suggested infant dose is lower at 10 to 25 grams of powder in water. Activated charcoal is also gaining popularity as a teeth whitener. It’s highly porous structure can draw out stains directly from tooth enamel that come from coffee, red wine, curries and other teeth yellowing foods and drinks. For natural teeth whitening, simply wet your toothbrush, press a small amount of the powder into the bristles and scrub it into your teeth regularly. If you have carbon capsules you can cut one open to use half the powder per brushing. There’s no need to rise immediately afterwards and the longer you can leave the charcoal on your teeth the more effective it will be at drawing out stains from the enamel. This process should be done separately to regular brushing with toothpaste. The best time is probably after you brush your teeth in the morning or evening so they are already clean and the carbon can contact the tooth surface more directly. Most people find their teeth getting noticeably whiter after a couple of weeks of regular, preferably daily, brushing with activated charcoal. Be aware though that, while it helps to brighten your pearly whites, the black powder will likely stain the bottom of your toothbrush. It’s suggested to keep a second toothbrush just for charcoal teeth whitening. Activated carbon is commonly used as a poison and drug overdose treatment in hospitals around the world. Many homes, particularly those with young children, also keep a supply on hand in case of poisoning emergencies. Activated charcoal absorbs various kinds of substances in your digestive tract. It should not be taken anywhere near important medications. Consult your doctor about using charcoal if you are taking prescription drugs. The effectiveness of vitamin and mineral supplements and even nutritional content of foods may be reduced if taken around the same time as activated carbon. Ideally take it at least 1 hour before and 2 hours after food or supplements. A side effect of taking larger amounts of charcoal can be black stools. This is harmless so don’t be concerned if you took it recently. This natural remedy for gas may make dehydration worse if you are already dehydrated. Always take activated carbon with a big glass of water. A second glass of water 10 minutes later is advisable. Charcoal should not be used as a treatment for ingestion of strong acids or alkaline substances, cyanide or alcohol poisoning. Obviously call your emergency number and get to a hospital as soon as possible. As a precaution, it is not recommended for people with gastrointestinal injury or obstruction and liver or kidney disease. In fact anyone with a serious disease is recommended to discuss using charcoal with their doctor, especially with regards to timing of their medicines. It is also not suggested for pregnant or breastfeeding women or young children (even though it has been proven to not be metabolized so this may be just the standard blanket warning). Activated carbon has occasionally been observed to make constipation worse in susceptible individuals. This is usually avoided by drinking plenty of water and timing taking it as suggested above. If you’re prone to constipation consider cutting back on foods like these that are likely causing the issue and drink much more water during the day. It’s also important to consult a knowledgeable healthcare practitioner if this is a regular problem for you. Like fast-acting fennel tea and potent peppermint oil, activated charcoal is one of the most effective remedies for bloating and gas. Please keep in mind the dosage, and especially timing instructions, in this article when you use it though. As with any supplement or natural treatment, it’s a good idea to take a month off from using it from time to time, especially if you are using charcoal to stop flatulence regularly. While some health practitioners do recommend activated charcoal as part of a detox plan, unless you are following their advice, it is probably best as an occasional but very effective remedy for excessive gas. Coming up ahead is the best places I’ve found for activated charcoal capsules and powder online at the best prices. This post provided guidance that NIH, the mayo clinic and the national digestive disease web sites did not. THANK YOU! Much appreciated. I will buy the charcoal capsules from your affiliate link as a thank you. Thanks a lot for your comment. That’s quite a compliment. I hope charcoal works as well for you as it has for me. hello dear,am an obese lady and used to have excessive acids and heart burn so my doctor always prescribed for me antacids but i read this article recently and have been doing as you instruct,the result is good because i no longer have heart burn.thankyou for the advice. Thanks for your comments and glad to hear using activated charcoal for heartburn and acid reflux has worked so well for you. Taking activated charcoal 1 to 1 and a half hours before eating a meal with beans should help. You may have to test the timing a bit depending on your own digestive system. An easier way is to have the beanzyme mentioned in this article at the same time as any bean or legume meal https://flatulencecures.com/baked-beans-fart It also works for vegetables like broccoli. This is a good time to have charcoal water as long as you are not having any important medications or supplements nearby the charcoal. I used to chew every charcoal tablet or capsule I find. But I stopped after realizing not all the woods are good to get it the body system. I bought an activated charcoal, with prescription to mix it with water and drink. I found it not tasty so I started eating it raw ,then after, I drink water. Is it a bad habit???. Also, I eat the activated charcoal right after meals, because, I feel nausea after my meals and always eat about a tablespoon of the activated charcoal to prevent such feelings. It helps though, but is it also a bad habit. Hi, sometimes I go to restaurants where I may OVEREAT. When is preferable to take the charcoal? Before I got or after and how long before or after? Try soaking and sprouting beans. It makes them easier to digest. Also certain beans are easier on the gut such as navy beans. Thanks for the information, I have just bought some Charcoal capsules from Holland And Barrett and the directions say to take them straight after a meal, so a little confused. I’d say that information is incorrect. 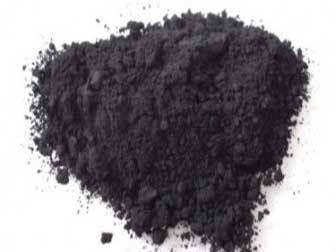 After a meal is not a good time to take activated charcoal unless perhaps with a very low quality meal full of toxins. The directions in the article were researched from medical resources and I stand by them. Hi! I was a little confused about the timing bit in your article. I have terrible gas after dinner that I eat around 6pm. When would be a good time to take the activated carbon capsules? Also, can I take the capsules before drinking alcohol? Eg. at a dinner party? Thanks! It’s best to take activated charcoal before your meal in this case. At least an hour, preferably an hour and a half. You can take it an hour and a half after a meal but it can be less effective as the digesting food is usually in the way. It works better as a preventative and is good for absorbing alcohol byproducts taken in the same way an hour before drinking. I’m an avid fan of activated charcoal and use it for teeth whitening, but honestly wasn’t totally aware of these benefits. Thanks so much for sharing this info! How long will it take for the activated charcoal capsules to work once I am extremely bloated and in pain. What is the time to work between taking it on an empty stomach or after a meal where you find yourself bloated after eating. It’s difficult to tell as it depends where the blockage is within your intestinal tract. I would estimate it usually takes 20 minutes or more, though drinking lots of water may speed this up.